The suddenly fashionable announcements of the death of nightly network news may be premature, but the bell is tolling, loud this time. Media critics have been circling the nightly news format, waiting for absence of life before they swoop in like vultures on carrion, breaking out the obituary notices they’ve banked up for years. The crawl across the desert that’s gone on for thirty-five years may finally be over this time. We may be approaching a point at which the great competition among the Big Three networks (ABC, CBS and NBC) will be to discover, years from now but fewer years than you might think, which network was courageous enough to be first to pull the plug on the respirator. There are signs of hope, or at least signs of change. After ABC anchor Peter Jennings died in August 2005, ABC went through a number of changes trying to come up with the right formula. The network finally hit on the dual-anchor approach. Elizabeth Vargas and Bob Woodruff were tapped to replace Jennings. It was a deliberately bold stroke, one followed by another that happened by accident, when Bob Woodruff and a colleague was seriously wounded by an IED while covering the Iraq war. At this writing Woodruff and ABC cameraman Doug Vogt are said to be mending nicely; ABC’s “World News Tonight” has also been getting well, as the beneficiary of a ghoulish bounce in the ratings after Woodruff and Vogt were injured. And if things weren't challenging enough, there's the news that Vargas is pregnant with her second child, due in August. This all may be a dictionary definition of "interesting times," and certainly a train of events that's got to be keeping ABC's suits awake at night. Of equal immediate concern are the prospects for the network’s “Nightline” franchise. After watching the new version of “Nightline” since its launch in November, we're still not sure how we feel about it. It's the ambivalence of seeing someone replacing an older and established colleague -- a person you didn’t like as much as respect – and being unsure how the new crew is going to work out. Sometimes the new format of the show is too cute by half, too earnestly striving to be hip. It’s not just the vertiginous graphics over multiple skylines or the warrior drums at the start and end of the show. If Ted Koppel’s “Nightline” seemed almost willfully a step behind the height of cool, happily trading glitz for gravitas, the new “Nightline” feels like it’s trying too hard in the other direction. The multi-anchor format has its advantages and its problems. On the plus side, the addition of Martin Bashir, in particular, has given the program a global presence it never had before behind the anchor desk. Bashir’s veddy British delivery just barely conceals a razorsharp mind, and a deceptively incisive interview style. And it’s true, getting the show out of the hermetic confines of a studio in Washington has enabled “Nightline” to breathe, to run stories from more than one location – making more kinetic use of those “global resources” ABC trumpets at the start of every segment. But the multi-anchor approach has also undercut the drive for “Nightline” to achieve a singularity of tempo and personality – the things that viewers look for, hope for: a show they’re comfortable with at the end of a day in which they’ve been bombarded by news from everywhere and everyone. The new “Nightline,” perhaps understandably, hasn’t earned its fireplace-and-slippers pedigree yet. CBS News is faced with a completely different dilemma, having lately achieved an increase in viewers, and finding itself nearing nothing less than a generational crossroads. 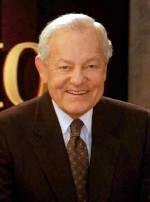 Bob Schieffer, the CBS Evening News anchor and the king of fireplace-and-slippers, has won the hearts of American news viewers, watchers long tired of Dan Rather’s insane Texanisms, and just as tired of the prospect of Rather being the news as much as reporting it. Since Schieffer’s ascension after Rather imploded in early 2005, in the wake of the Bush National Guard story, CBS’ ratings have continued to climb. They’re still in third place, but theirs is the only broadcast of the erstwhile Big Three to gain viewers – about 3 percent. Sometimes, however, the future makes up your mind for you when you can’t or won’t do it yourself. This is at the root of CBS’ two-horned dilemma, coming soon, one way or another, to a TV set near you. One horn of the dilemma is the ultimately doomed resistance to change that arises precisely because things are doing well [see Golden Rule above]. With growing critical acclaim and increasing viewers, CBS News has no reason to change anything – a retrenchment to comfort that’s ultimately doomed by the facts of advancing age. Schieffer will be 69 years old on Feb. 25; as such, his best and brightest days as a journalist are behind him. For a network whose mission and essence are about confronting the present and the future -- and enabling viewers to do the same – the CBS brain trust must have its eyes fixed on a more distant star. How those recently loyal viewers will react when Schieffer leaves has to be concerning. For all of his deserved emeritus plaudits, it’s no slander to say that Bob Schieffer largely represents the past of CBS News. The veteran Washington correspondent has done an admirable job in a role better than thankless but worse than celebrated: He’s the bridge between eras at a major television news division, he knows it, and he’s enough of a class act not to want to do it forever. 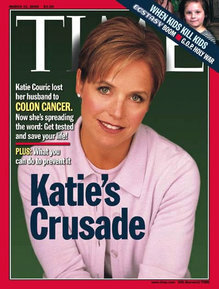 The second horn of the problem is, or may be, one Katharine Anne Couric, the perky X factor whose contract at a rival network expires in May. Katie Couric, who’s been deftly playing “perhaps, perhaps, perhaps” on her future at NBC, has long been discussed as the top choice of CBS management to become the permanent anchor at the CBS Evening News. Adding the Couric Variable changes the equation at CBS in several ways. First, it ratchets up the cult of news-anchor personality that was smartly dismantled by Schieffer’s elevation. Second, it reawakens the generational chasm that the CBS Evening News has long been held hostage. And third, Couric’s ascension to the top spot would be a profound snub of any number of qualified in-house candidates with more news experience than Couric has (John Roberts' situation comes most immediately to mind. Weary of the chin-pulling in the executive suite, tired of waiting in the wings to take a bow that might never come, Roberts left the Tiffany network, jumping ship for CNN, it was announced on Feb. 1). In the interest of not fixing what isn’t broken, then, how much more sense it would have made if CBS continued the philosophy that’s made Schieffer such a hit – a safe but inspired choice within the family. Why wouldn't John Roberts have worked as the next in line to carry on the CBS banner? It would have been philosophically consistent with the choice of Schieffer, and a choice that achieves a truce between the old guard of CBS News viewers – a cadre that’s generally getting smaller by the month, recent successes notwithstanding – and a new generation of news hounds who haven’t really developed a favorite in the white noise free-for-all of 21st-century news television. NBC and CBS are yoked together by the Couric Variable. What’s shaping up is a true zero-sum game, one of the few played out in traditional American broadcast television in many years. One network will be seen, by advertisers and critics and viewers, to be advancing at the expense of the other. Not exactly answering the bell. But to some extent, NBC is in the catbird seat. Its evening news leadership has been set for some time. Brian Williams’ ascension to NBC Nightly News anchor in December 2004 has given the Peacock a great head start on solidifying an audience, hard to do in the multichannel world. NBC might be vulnerable in the morning with Couric’s departure. But NBC -- and more properly the extended NBC family that includes a number of cable sources of new talent -- has a much deeper bench, and a lot more choices in-house when considering a high-profile replacement than either CBS or ABC, whose presence in cable is marginal at best. And there’s the money to consider: all of those in-house choices combined wouldn’t command the $25 million a year salary Couric is said to be pulling down. But the catbird seat isn’t much advantage under water, and that’s an apt metaphor for the steadily sinking ratings of the network Big Three. To their credit, all of them have made more than tentative forays into cyberspace, with weblogs, video on demand and other experiments in informational democracy. CBS has gone so far as to introduce “Assignment America,” a nod to interactive news, in which CBS correspondent Steve Hartman goes to cover one of three stories selected by the viewers. It’s a break with the customary didacticism of journalism (and one that, to judge from Bob Schieffer’s downright nasty on-air dismissal of the experiment, last week, may require convincing those inside CBS as much as the viewers in the world at large). Maybe that’s the big generational issue to be addressed here: the three mandarins of the medium now, finally, coming to grips with being seen as old and in the way, forced to justify their elder existence in a younger, faster world that may damn well not want them around anymore. How well the Big Three adapt to the rapacious Darwinism at work in television news today could be the biggest story any of them will ever pursue. The ability of a civil rights symbol and icon to speak truth to power can never be underestimated. 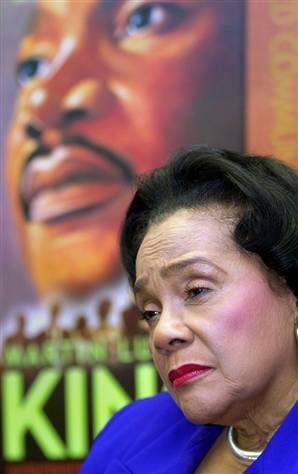 Coretta Scott King, who passed on Jan. 30 and whose life and mission were recalled Feb. 8 at her funeral service at New Birth Missionary Baptist Church in Lithonia, Ga., apparently can impart an important dimension of her mission -- plain speaking -- beyond the grave. Death, where is thy sting? Seems not even the Grim Reaper can keep a sister down. Nor, happily, can politicians and spinmeisters and TV pundits -- all of whom were howling after the services about perceived slights to President Bush and to the memory of Coretta Scott King herself. The array of conventional complainers were out in full force after the services, which managed to deftly combine the spiritual and the activist in a way Coretta King would have approved of. The ceremony was attended by an estimated ten thousand people, as well as by four presidents and a number of dignitaries. Not everybody was prepared to say goodbye to Coretta with the usual desiccated, hermetically sealed encomiums common to too many American funerals. People gave Coretta Scott King a churchy sendoff, and not everyone could appreciate it. Some less than others. First up was President Bush, making nice from the beginning: "I've come today to offer the sympathy of our entire nation at the passing of a woman who worked to make our nation whole. "Having loved a leader she became a leader," the president said. "We knew Mrs. King in all the seasons of her life -- and there was grace and beauty in every season. As a great movement of history took shape, her dignity was a daily rebuke to the pettiness and cruelty of segregation." Bush's appearance was half a triumph for this president still mightily under fire for his faltering relationship with black America. He clearly understood the gravity of the moment, even while not fully comprehending the venue -- the church -- and what that venue has historically meant to black Americans. The crash course was about to follow. Shirley Franklin, mayor of Atlanta, recalled how "sang for liberation, she sang for those who had no earthly reason to sing a song." Mrs. King, Franklin said, spoke out against the "senselessness of war with a voice that was heard from the tin roofs of Soweto to the bomb shelters of Baghdad." 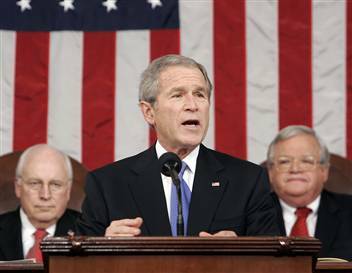 Whether you saw it on TV or not, that's about when the presidential flinching began, with that first Iraq war-related shot across the bow of George Bush, sitting with wife Laura on a raised platform behind the speakers. This must have been something like torture to Bush, who was forced to sit and take it. There was no bailing out of this event, no furtive glances at his watch, like his father did on the way to losing the 1992 election. Three speakers later, it was the Rev. Joseph Lowery's turn. Lowery, former head of the Southern Christian Leadership Conference, which he helped create with Rev. Martin Luther King in 1957, offered his own interpretation of a poem in eulogy of Mrs. King, one with an unveiled reference to the Iraq war. "She extended Martin's message against poverty, racism and war. She deplored the terror inflicted by our smart bombs on missions way afar," Lowery said. "We know now there were no weapons of mass destruction over there. But Coretta knew and we knew that there are weapons of misdirection right down here! Millions without health insurance. Poverty abounds. For war, billions more but no more for the poor!" The George Bush Piñata Experience continued with comments from former President Jimmy Carter, who got his share of applause with his recollection of how Coretta and Martin both had to contend with federal efforts to spy on them decades ago, in the Hoover era of the FBI. "It was difficult for them personally with the civil liberties of both husband and wife violated, and they became the targets of secret government wiretapping and other surveillance and as you know, harassment from the FBI." said Carter, with a perfectly transparent jab in the ribs to Bush, whose domestic eavesdropping of American citizens suspected of having connections to al-Qaida is very much under fire in Washington. Carter weighed in again later, saying that Hurricane Katrina was proof of the persistence of inequality in America. "This commerative cermony this morning, this afternoon, is not only to acknowledge the great contributions of Coretta and Martin, but to remind us that the struggle for equal rights is not over. We only have to recall the color of the faces of those in Louisiana, Alabama and Mississippi," Carter said. "Those who were most devastated by [Hurricane] Katrina know that there are not yet equal opportunities for all Americans. It is our responsibility to continue their crusade." 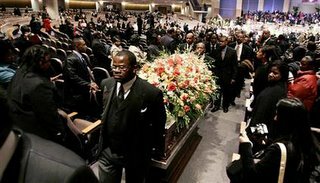 Bloggers and pundits debated it all for days after the funeral, some insisting that the political comments "went too far," that they were "out of bounds," that they "crossed the line." But most of the finger-waggers who complained never quite got their minds around a central fact of Coretta Scott King, what she stood for, and how her undying pursuit of justice and truth had its logical expression in the words and sentiments of those who eulogized her. She stood for candor and honesty in life; how could anyone think she'd stand for anything else when she died? Donna Brazile, a Democratic strategist who managed Vice President Al Gore's 2000 campaign and worked for Coretta King, told the Los Angeles Times what was what: The comments made at the church and people's reception to those comments were "in the spirit of the moment, which was a testament to who Coretta Scott King was." Nuff said. Rest well, faithful servant. Well done. You've gone on to a sweeter, happier, less polarized place. The Pentagon, never an institution to be short-sighted about its own reason for being, is laying the groundwork for existence justification on a massive scale. We've had the Cold War; now ... get ready for the Long War. As the agency makes the case in the 2007 U.S. budget, and in a soon-to-be-released defense posture review document, the Pentagon envisions a more or less endless state of war for the United States. War, they seem to say, will largely be a permanent state of affairs, with few pauses in the disaster; global conflict will soon become a fact of American life from beginning to end. Two inevitable issues arise, though, matters that undercut the Pentagon's faith in prevailing in such a conflict. First, if the United States needs to be on a permanent war footing, how is it possible to maintain a military to defend against enemies that cannot be conventionally defined – enemies with no uniform, no flag, no unifying geographic nexus – on an indefinite basis? The second factor is even more basic: When your nation is fighting a war whose progress is based not on the capture of tangible territory but the sway of ephemeral religious ideologies ... how do you know if you’ve won? The willingness of America’s military leadership to even entertain the possibility of winning a nearly-interminable conflict -- something like an American Thirty Years War – suggests that they believe “Victory” is something that can be achieved with no literal objective. As such, the very notion of “Victory” becomes a modern chimera, an anachronism impossible to articulate in militarily definable terms. Such a lofty mission statement coming from FDR or Churchill three generations ago would have made perfect sense, given the clear, definable nature and mission of the global enemy at that time. In today’s world, however, the enemy of terrorism is more diffuse, and nearly impossible to confine to distant national borders – as this nation experienced firsthand on Sept. 11, 2001. For that reason, the whole notion of “Victory” becomes more a matter of perception than fact. With no concrete metric by which to determine winning and losing, the door is open to an open-ended conflict stretching for generations. Bush’s call to end “tyranny in this world” requires a deep-pocketed, conscripted, rapid-response army capable of quelling tyranny anywhere on the planet. That is not the military of the United States, as critics of the defense plan are saying, and it's not likely to be the U.S. military of the future. “They’re not asking for a bigger military and a lot of us are surprised by that,” said Michele Flournoy, a senior adviser at the Center for Strategic and International Studies. “We see the strains on the current forces — we need to grow the force to reduce the strain,” Flournoy told The Associated Press. The cost of such a conflict goes way beyond the dollars and lives expended, bad as they’re likely to be. 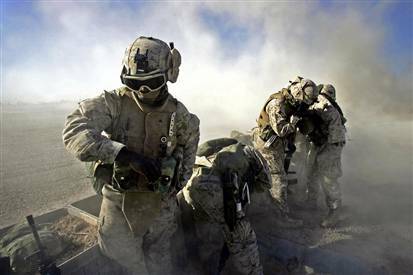 At this point the Iraq war costs the country more than $4 billion a month and has left more than 2,245 service members dead and another 16,000 wounded. That cost is horrific enough. But there’s the additional cost to American peace of mind at home. 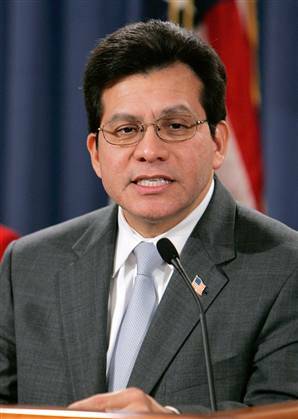 We’re witnessing a growing concern over the domestic surveillance program President Bush authorized to be undertaken by the National Security Agency – a practice articulated and defended by Attorney General Alberto Gonzalez. 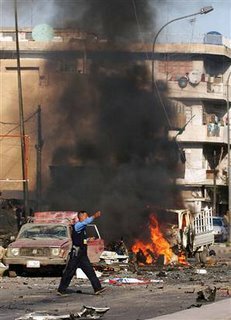 If such a war lasts two, three, five, ten more years, what new intrusions on civil liberties will surface? How many other new ways to monitor the movements and associations of Americans will take place? What’s the potential for a pyrrhic win, for America’s life and culture to undergo such radical change in the name of liberty that liberty as a practical matter ceases to exist? From the standpoint of the impact on personal freedoms and on the credos of self-discovery and self-actualization that are the existential trademarks of this nation, would America even be America anymore? Some scholars have come to see this trend toward the imperialization of the American presidency for what it is: the most dangerous and democratically problematic drive-by on our collective culture and the rule of law since Watergate -- and maybe worse, as a corruption of our values, than Watergate ever was. Bush’s developing propensity to tinker with Article 2 of the United States Constitution, hasn’t, for example, caught Ellen Fitzpatrick of the University of New Hampshire unawares. In a Jan. 2 segment of “The NewsHour with Jim Lehrer,” Fitzpatrick, Carpenter Professor of History at the university, notes how current events have, like always, a definable precedent. “Originally the notion of being commander-in-chief was explicitly divided from the notion that the president would decide when it was appropriate to wage war. That power very explicitly went to the Congress. So the Constitution is very clear on this point," she said. And the way it’s being done? By manipulation of the language, seizure of the attention span, amplification of threat and action – and a willingness to tweak and morph the very meaning of national security to whatever suits the exigencies of the moment. The prospect of war without end deserves to be an unsettling one, for everybody. Regardless of your party persuasion, liberal or conservative, it raises a chilling prospect for all of us: a world bristling with weapons, a place of relentless animosities exacerbated by increasingly dire Chicken Little scenarios, a world inhabited by children with no childhood, forced to contend with a life during wartime from cradle to grave. Coretta Scott King passed earlier this week, thirty-eight years after her husband. She had a real good run and she died with family in Mexico. That steady, inexorable arc of decline could belong to any one of us, and no doubt will, give or take details, to all of us. But the life of Coretta Scott King was a life of purpose at a high level, in the service of a cause that animates and resonates in America today and forever. And for African Americans, her passing leaves that which nature can't stand: a vacuum, an absence almost as resonant as the cause she lived for. With her death the debate has intensified about "the way forward," now that so many of the icons of the African American vanguard are fading with time. Coretta's passing comes on the heels of the death last year of August Wilson, a playwright for the ages; actor playwright, conscience and voice Ossie Davis; and the passing, in January, of preservationist Joyce Maynard, longtime champion of Weeksville, N.Y., a settlement of freedmen and freedwomen that came to produce the state's first black police officer and first black woman doctor. Some of the comfortable anchors of the past have escaped us for good and we're more adrift now than we were before, if you can imagine that. 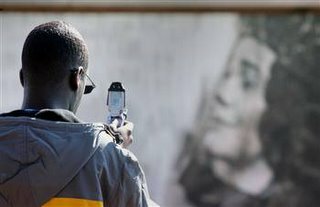 That potential for drift has alarmed some African Americans; at a time when challenges facing black Americans are more, and more aggressive than before, black America finds itself at a crossroads, with few of the singular personalities we relied on in the 1950's and '60s. The African American intelligentsia has fragmented, broken off into a number of little pieces, shards of generation and gender, of economic circumstance and even skin color. What's missing, what's been missing for years, is that unifying force with the ability to synthesize disparate elements into something approaching a cohesive whole. Jesse Jackson can't do it; his own personal baggage (child out of wedlock, the lingering memory of "Hymietown") is a problem, one kept largely on the down low but a problem just the same. Some have rightly pointed to Sen. Barack Obama as the kind of inspirational lightning rod black Americans need in the future. Others embrace the homey practicality and growing media savvy of Rev. Al Sharpton. The 2004 election gave a hint of them changes. That's when African Americans broke with their automatic pulldown of the Democratic lever and actually increased their numbers of support for President Bush, dissing Democratic challenger John Kerry for reasons that had as much to do with their sensitivities to "family values" as for Kerry's insubstantial position on the Iraq war. Whichever way African America goes, it's clear that a major generational shift is happening for black folks. Coretta Scott King's passing only makes clear what's been happening already: the convenience of that single iconic force speaking truth to power on behalf of black Americans has now become, officially, history. “The old has passed away,” Bernice King said as part of the eulogy for her mother at the church in Lithonia, Ga., in the Atlanta suburbs. “There is a new order that is emerging.” The shape of that new order, its players and personality, will be the stuff of much debate, probably as soon as this (midterm election) November.